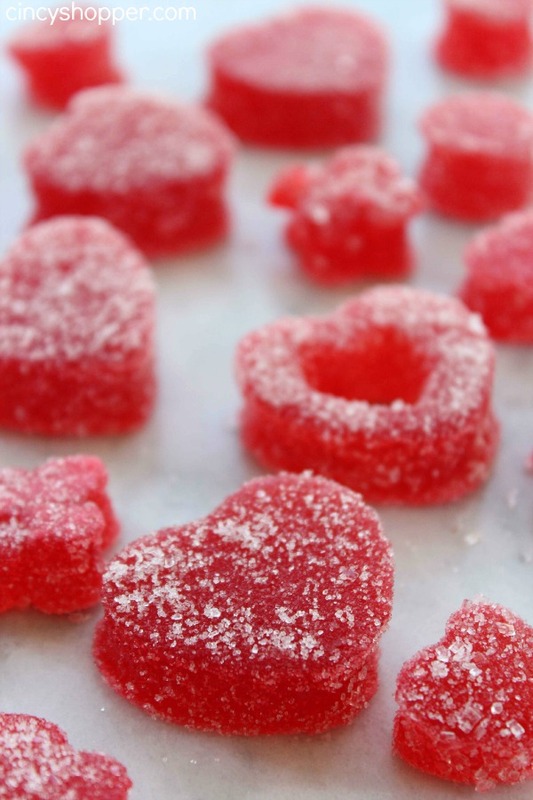 If you are looking to make a sweet treat for Valentine’s Day you can consider making these Homemade Gumdrops. A super easy and fun recipe that is great for just about any holiday. 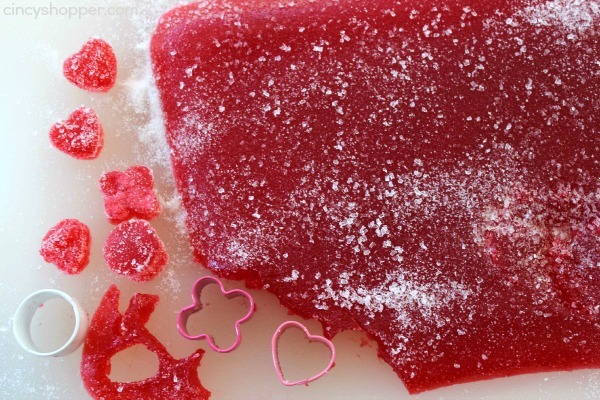 This homemade gumdrop recipe is made with Jell-O so the colors and flavors are almost endless. Plus you can use just about any holiday or plain cookie cutter to make them special. 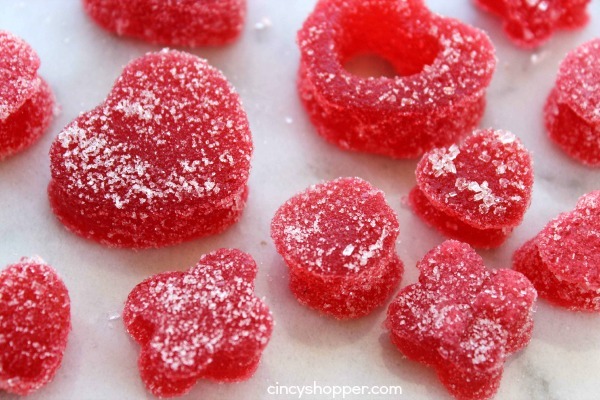 For our Valentine’s Day Gumdrops I used strawberry Jell-O and a set of heart Wilton Cookie Cutters that I picked up at Kroger. If you would like to purchase the same set, you can find the Wilton Kisses and Hugs Heart Cookie Cutter available on Amazon too! Gumdrops were always one of my favorite candies when I was growing up. I recall my grandparents having a dish on the counter top almost always. I remember sneaking a few extras from time to time, ha ha! They are just so addicting. Sugar coated yumminess. 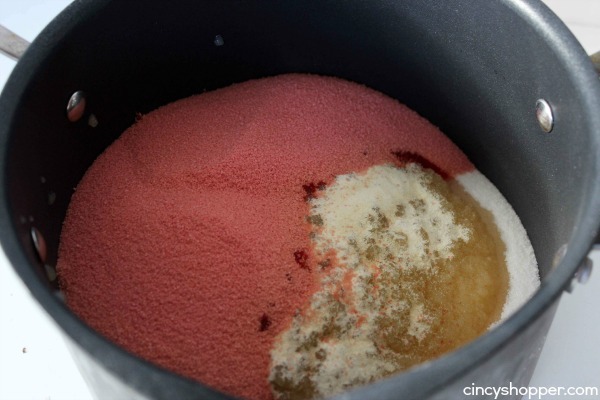 The ingredients for your homemade gumdrops are super simple. 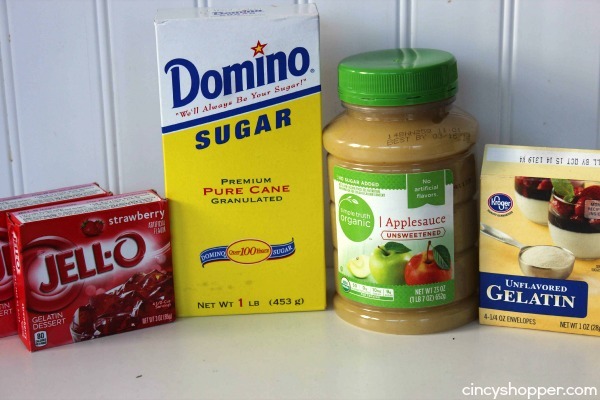 Grab some Jell-O, plain gelatin, applesauce and of course sugar. You could even make up a batch and surprise your kiddos allowing them to make their own creations. What a fun activity! Spray 13×9 pan with non-stick spray. Combine all ingredients in a pan. Pour into prepared pan and refrigerate until set. Dust cutting board with sugar. Use a spatula to loosen sides and turn out onto cutting board. 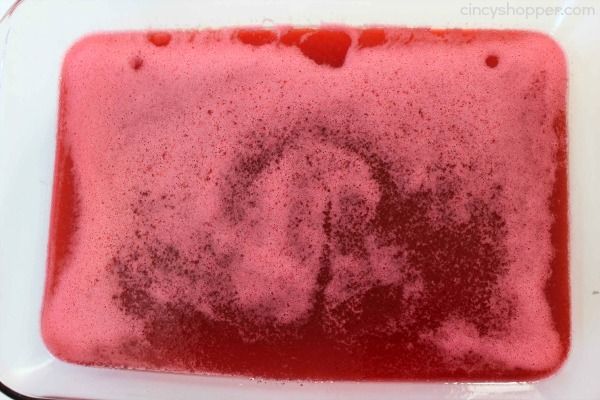 Dust top of Jello with sugar. Use heart shaped cookie cutter to cut out gum drops. 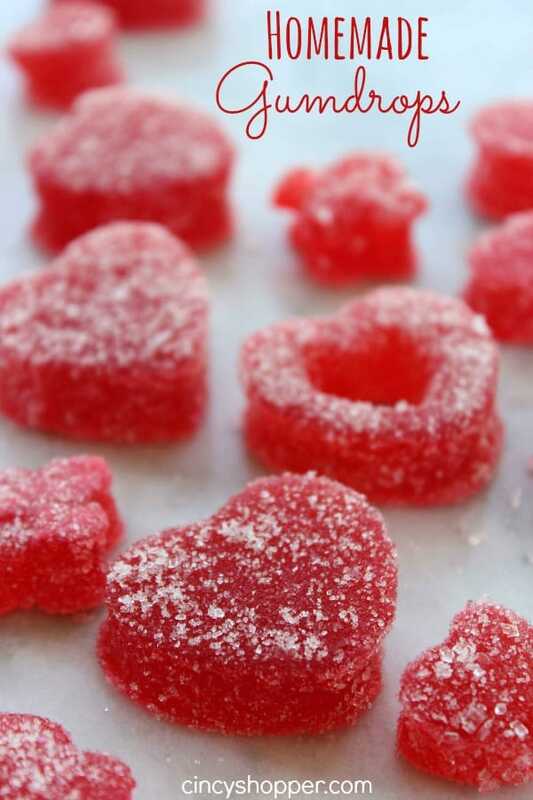 These Valentine Gumdrops will be perfect for gifting for Valentine’s gifts. Perfect for the kiddos, teachers, neighbors, etc. Just toss some in an inexpensive tin or box and you have a perfect and sweet gift. Spray 13x9 pan with non-stick spray.